So, I often mistake the world. Another new year’s poem of sorts, thinking of the quotes of Susie Clevenger on With Real Toads (though I already linked a poem there, so will leave this be!) Happy last New Year’s weekend before work onslaught begins! The photo is not really right for the poem–as it doesn’t show a field of trees (!) but an old one that was closest I had. This entry was posted on January 3, 2015 at 9:40 am and is filed under poetry, Uncategorized. You can subscribe via RSS 2.0 feed to this post's comments. What an amazing shot. 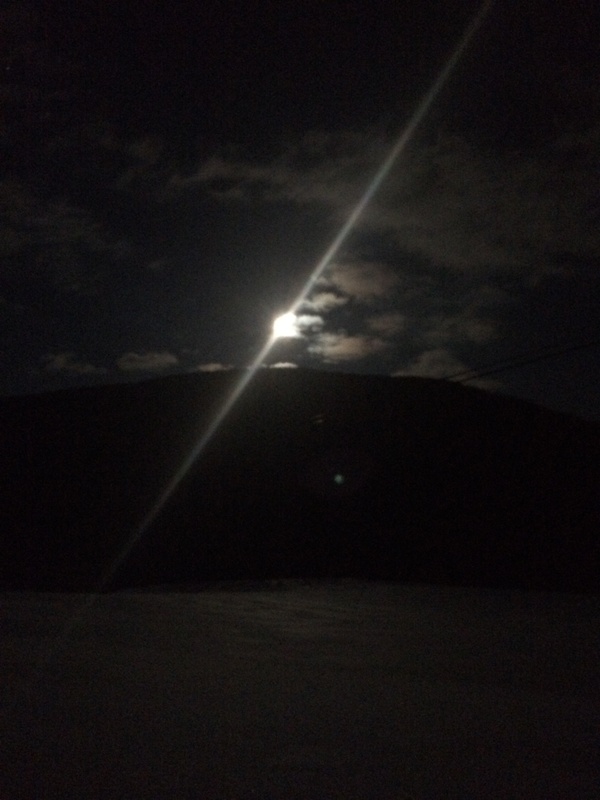 The moon was so bright last night – always reminding me to look up, at the bigger picture. Oh I really like this idea….to see others as paths to enlightenment, rather than as barriers. Cool ending, wonderful perspective. Uplifting. This has a very buddhist feel to it for me, k–one of those simple phrases expressing a complexity that one never thinks of but seem obvious when someone else does. Your metaphor is one my own increasingly foggy eyes can relate to, as well. Thanks. I am not very good at this perspective. k.
I love how your wrote about that moon-walk.. It must have been that walk you told about in your comment on my poem.. The end touched me especially.. a great way to assume the best in people, I think the roads are better than way. They are. I think the Buddhist idea is that whether the people mean best or not, they are teaching you important lessons. I, on the other hand, am not so good at learning them! Thanks, Bjorn. k.